Wilmington Window is your complete destination for start to finish window replacement throughout Northern Delaware. Our windows are 2x stronger than vinyl and just as beautiful as wood windows without the maintenance. 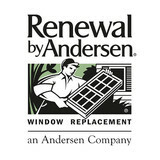 As a Renewal by Andersen dealer, we have been serving homeowners throughout the region for over 100 years. When you call us for cleaning and janitorial services, you can expect fast response times, flexible schedules, and superior customer service. Our staff are trained and experienced to fully accommodate the needs of our customers. If for any reason you are not satisfied with our work we will return to meet your expectations at no additional charge. We guarantee your satisfaction. Having a clean environment to live and work in is no small matter. Cleanliness is important to make sure that everyone in the area stays healthy and can breathe easy. But having a clean environment is also important for mental health. Unkempt spaces are oppressive to the mind and undercut concentration and productivity. Let Royal Dynasty Management take care of it so that you can be happy, healthy, and get on with your life. 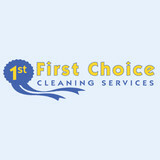 Well Done Cleaning Services is a house cleaner / cleaning service serving the Wilmington, DE area. 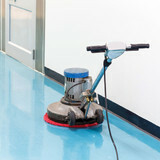 Services include Cleaning, House Cleaning, Deep Cleaning, Construction Cleaning, Move In & Move Out and Window Cleaning. 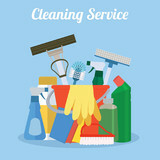 What should I expect from a house cleaner in Wilmington, DE? Most professional Wilmington house cleaning services will do the same tasks for a basic residential cleaning job: clearing dust and cobwebs from all surfaces and fixtures; wiping all surfaces, including sinks, tubs, counters mirrors; cleaning tile; vacuuming and mopping. You may want to have different rooms detailed at different times, so ask about doing a rotating schedule if you want them to pay extra attention to each space (like kitchens and bathrooms) every other cleaning. Some house cleaning companies in Wilmington, DE will also offer additional services such as window washing or appliance cleaning, so ask about incorporating them into your deal or doing them as a one time thing if you’re interested. Pick up any clutter (laundry, toys and other gadgets) and put pets in a secure spot so they feel safe and don’t get in the way of the Wilmington house cleaning company. Put out any specific cleaning products or tools you want used, and make sure to lock up any valuables that you don’t want disturbed. Most housekeeping services in Wilmington, DE will enter with a spare key or garage code, but if that isn’t something you’re comfortable with then you should arrange for them to come when you are home to let them in. Typically Wilmington house cleaners expect payment at the time of cleaning, so ensure you have the appropriate form of payment (cash, check or credit card) on hand, plus a little extra for tip if that’s your style and they do a great job. Find Wilmington house cleaning services on Houzz. Narrow your search in the Professionals section of the website to house cleaners in Wilmington, DE and contact local companies to ask questions and get quotes.